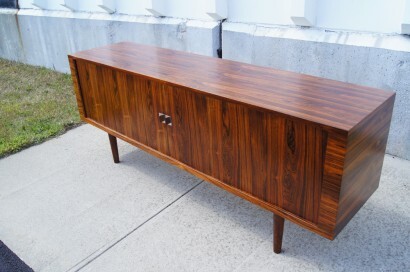 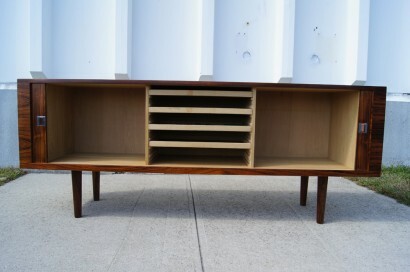 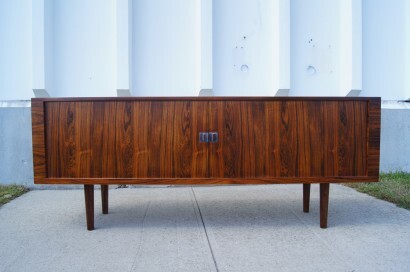 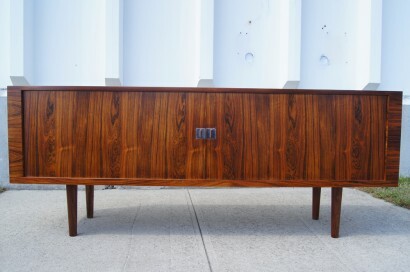 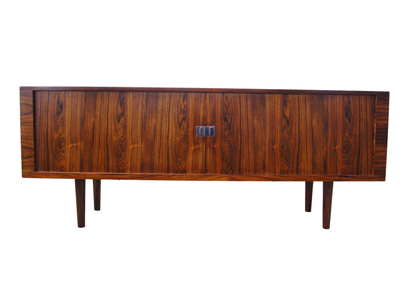 Hans Wegner designed the RY-25 sideboard, known as the President, for the Danish company RY Møbler in 1960. 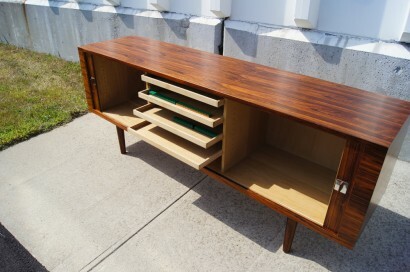 The well-proportioned case sits on tapered rosewood legs and features two large tambour doors with unique steel and rosewood pulls that conceal adjustable shelves to either side of four shallow cutlery trays. 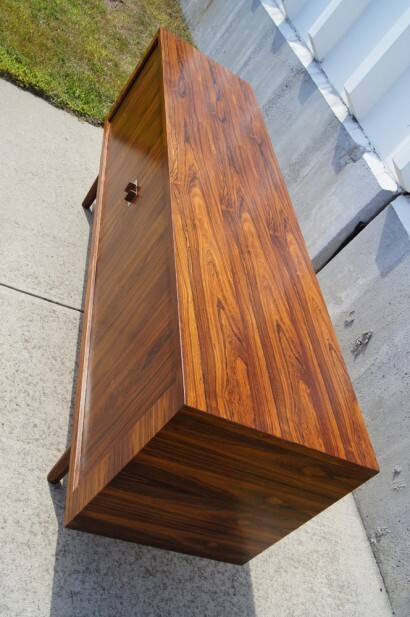 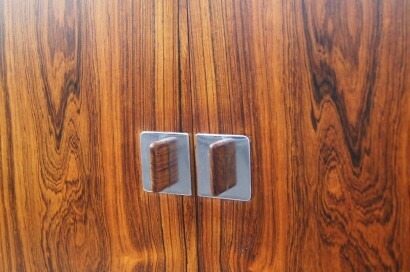 This magnificent example contrasts an exquisite rosewood exterior with an oak interior.